Deneen Pottery which is family run, has a wonderful pottery business in St. Paul, Minnesota where 24 pairs of hands touch each piece during the manufacturing process. Deneen Pottery did a wonderful job designing the artwork for our mugs which shows flowers growing along our picket fence. Our mugs come in two colors black and kiwi green and our guests are raving about them. We also sell the mugs but you must stay with us in order to purchase them. 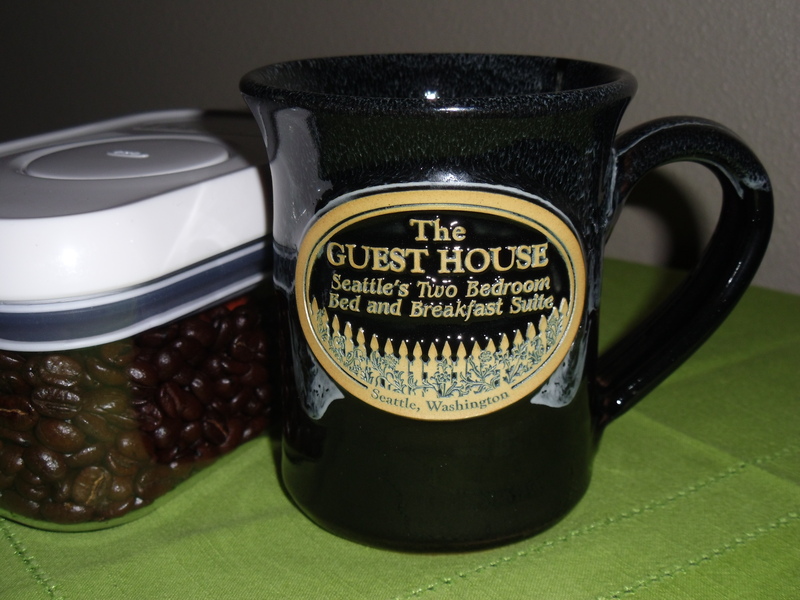 Many bed and breakfasts also have had Deneen Pottery make their mugs and we found some of our guests are collecting Deneen Pottery mugs as they visit bed and breakfasts all around the USA. We invite you to come stay with us and give our new mugs a try.